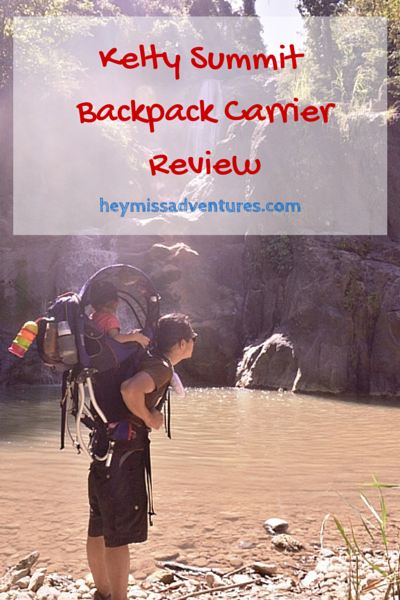 Top Five Things When Backpacking With Infants | Hey, Miss Adventures! 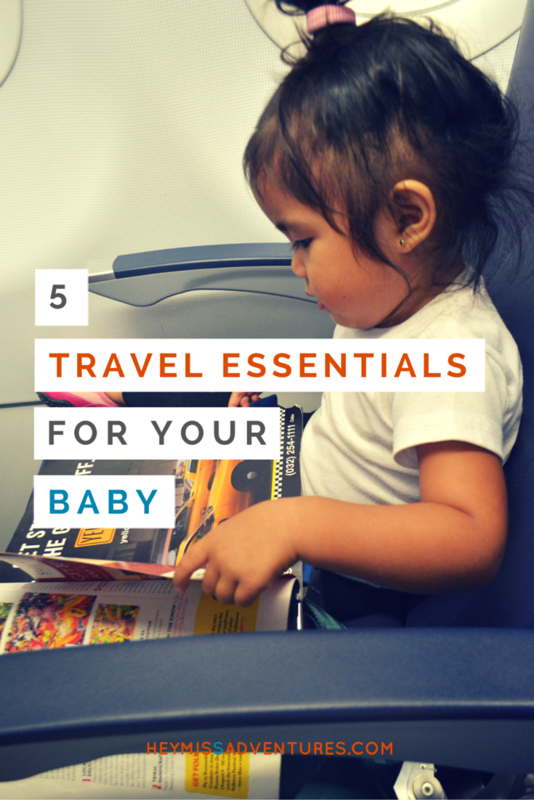 The partner and I are, by no means, experts in travelling with an infant. 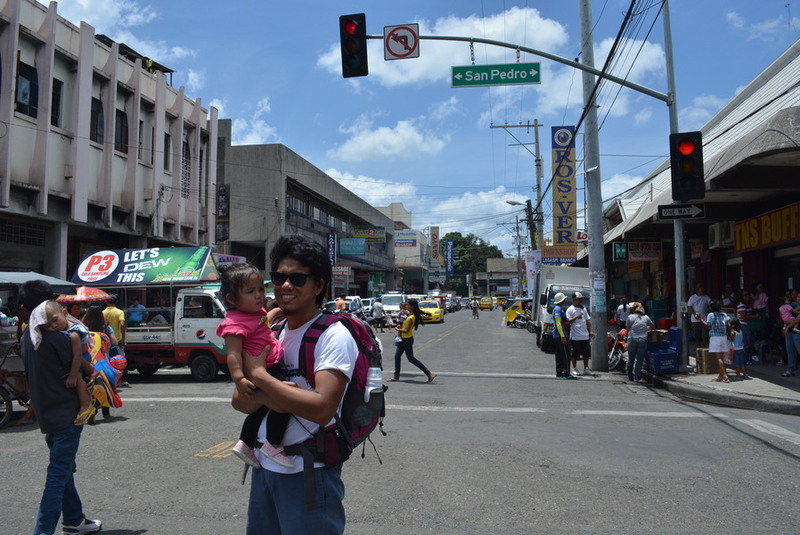 In fact, I could safely say that we only had about three major travels: to Leyte, to Palawan and to Davao. 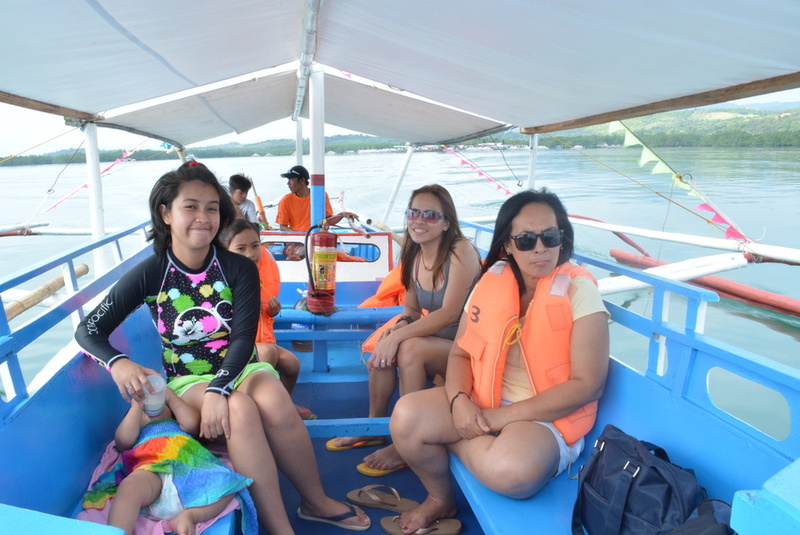 While our trips to Leyte and Davao were backpacker-style to some degrees, our Palawan trip had been slightly in comfort since we had my parents with us. 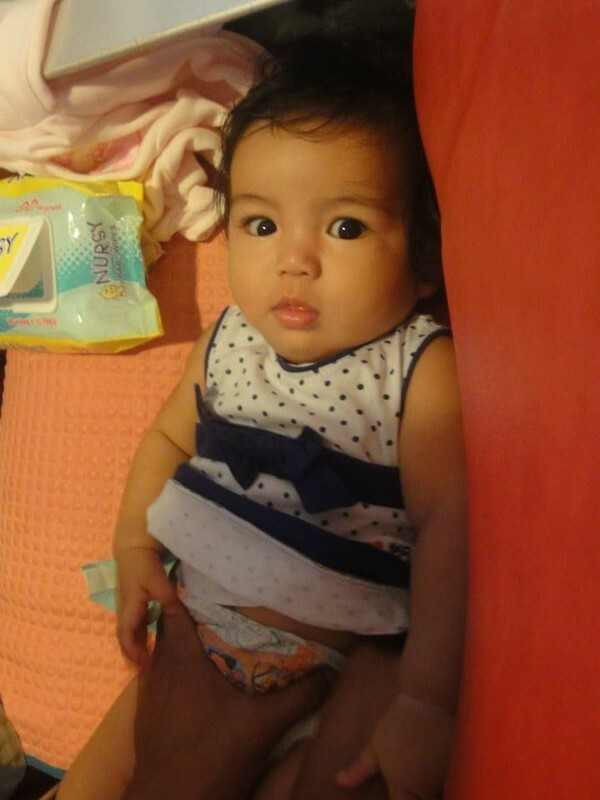 We also went to Negros Oriental when our daughter was just three months but we went there in a private car and stayed at our relative’s house. Still, it doesn’t take away the fact that there are some necessities you have to be prepared for if you want your backpacking experience to go as smoothly and hassle-free as possible for both parents and child. 1) Necessities x (No. of days travelling + one more day) applies to everyone. The daughter was never really solely breastfed for a long time mostly because we wanted the transition after the two-month maternal leave to go as smoothly as possible. 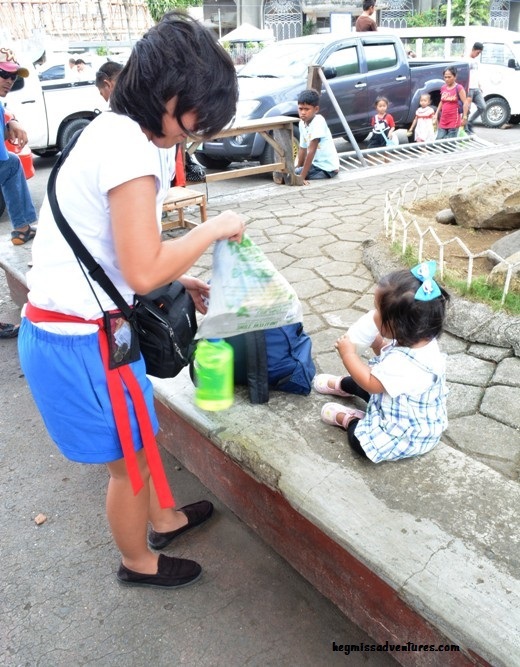 So, even when we visited our relatives in Negros Oriental, we had to bring some bottles and infant formula even if I was still nursing her. At all other trips, the daughter had become purely bottle-fed so it was a burden on our part, packing for the bottles and the formula. While I was preparing for these, I made sure to bring the average number of scoops of formula she drinks in a day multiplied by the number of days we were away. I also added about one-feeding’s worth of scoops for every day we were away just in case she would demand some more. As for the bottles, I packed about four bottles so we would have a spare just in case I got tired of cleaning them right away. Of course, this rule does not apply to bottles and infant formula if you breastfeed your baby so, yes, nursing is a big advantage if you plan to travel with an infant. If you use a rather popular infant formula, you can choose to get a small can at your destination instead. If you use disposable diapers, you could also do the same. 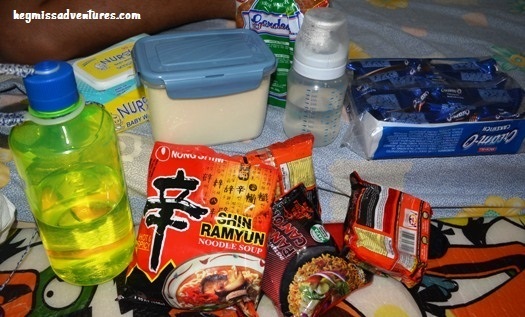 But, if you plan to stay at some remote island like we did in Kalanggaman Island in Leyte, you might have to stock up on your infant’s necessities. Also make sure to bring snacks and/or meal options in case your child has some special diet (like when we tried to feed her solely with organic food). 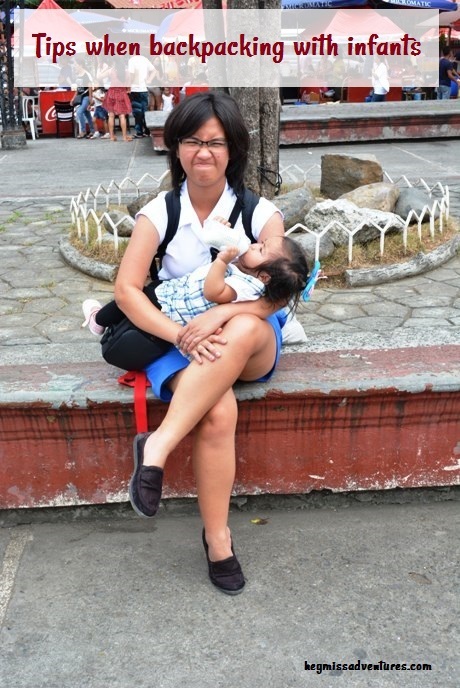 2) Be flexible for feedings/diaper changes/naps on the road. This really isn’t a problem if you just stay in one place or if you have family with you. It also won’t be a problem if you already prepared a bottle of milk ahead of time but remember that these can spoil in less than an hour – even faster in the Philippine tropics. If you plan on doing some day tour around the city with your backpack in tow, be prepared for some yield time to prepare the milk. We did this many times in our travels – I would pull out a bottle (make sure it is ready with the right amount of water) and pre-measured formula and then mix them right out there: in the street, in a public transportation, in the middle of a park, in a boat – wherever! If you breastfeed then…be ready to pull up your shirt anytime and everywhere – if you don’t feel to comfortable, bring some nursing cover with you. Diaper changes are fine if it’s just pee you’re dealing with but it may not be the same case when there’s a bomb in there. The partner once dealt with a quick diaper change in a small airplane cubicle (yikes, am I not supposed to be the one doing that?). There may have also been some instances when the change was done on a mat with some bits of sand or in a fast craft’s cramped seat. As for nap times, well, they’re really not a problem unless you walk around for a while – babies become heavier (and stick to one position) when they’re asleep. 3) Prepare your muscles for the job. 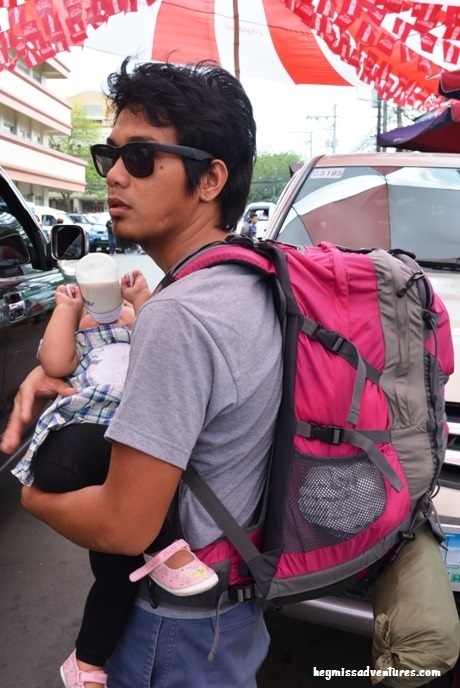 I’m lucky to have a partner who is willing to carry with him a 50L backpack and a baby in front while I carry my 10L-ish daypack. The baby wasn’t really walking much that time and we didn’t think of getting a backpack carrier for the job (we have the regular carriers but they have become a tad too small for the daughter). Anyway, you’re muscles will tire out and your shoulders will have those pins-and-needles-kind-of-pain so be prepared for it. We The partner walked around the city and down and up a mountain (to a cold spring) carrying all his load. Well, I did take my turn though…for a few minutes. 4) Make sure that you are weather proof. Going through heat and rain is fine for adults but when you have an infant, that might be a different story. We prepared for this by applying sunblock on the daughter before we went out (it becomes really sticky when mixed with sweat though so we might have to change brands). However, we weren’t exactly prepared for the rain and just had a light jacket throughout the trip. Rain did fall on us so we just had to light-jog our way to find the nearest shelter. We never really did reach that point because the drizzle was pretty quick. We were slightly soaked when we got inside the public transportation and also very exhausted. 5) It is going to be very difficult. Certain options may count you out because you have an infant with you (we never did experience that, in fact we rode on a motorcycle for about 20-ish kilometers: it was the driver, the partner carrying our 1-year-old and me all throughout the trip). Going out at high noon with a backpack to watch some sights around the city may discourage you. Getting into public transportation with narrow passageways would seem like a Herculian task. Getting through the night in a remote island with solar-powered lampposts, no breeze and no electricity would feel like forever. Finally enjoying the place (or getting some short nap) may seem like an impossibility. Then again, everything is going to be worth it. Why? You’ve just crossed off one item from your list – together! -, which means one less place to explore (or one more beautiful place to revisit in the future). And it’s the best thing you could ever give your child. 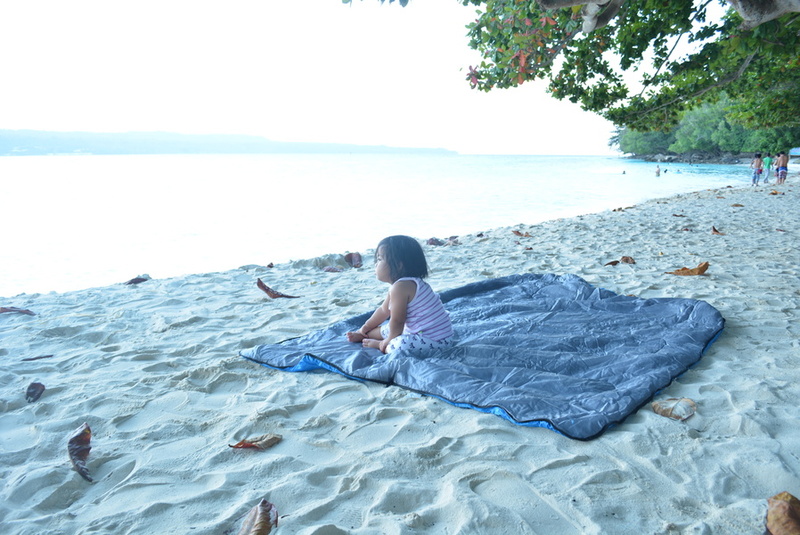 Sure, she may not remember her first taste of saltwater at three months, her first remote island stay at six months, her first island hopping experience at eleven months or her first motorcycle ride at twelve months. 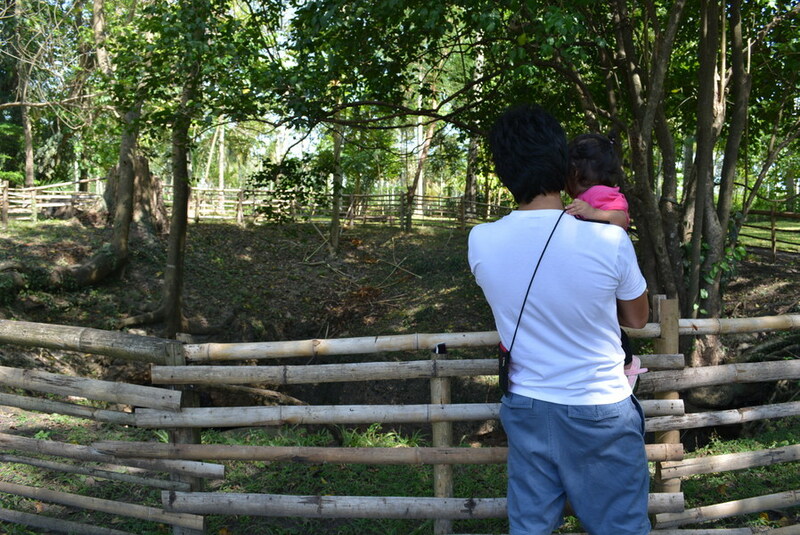 But, the experience of adventure and letting her learn the ways of the world (or of your country) is something priceless. I swear, it would all be worth it. 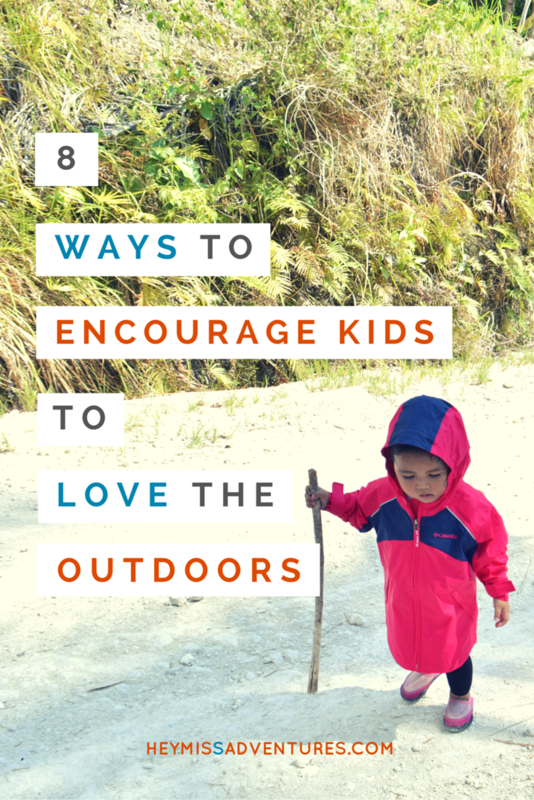 If you’ve also been backpacking / flashpacking / camping / glamping / simply travelling with infants, do share your tips below! This is an awesome post!!! Loved the bit about the muscles bit. 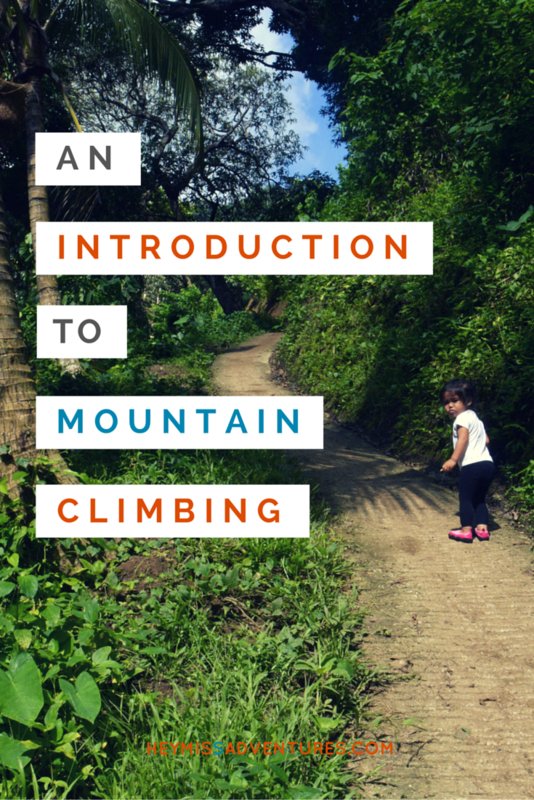 You really need those working hard when backpacking with an infant!! Yeah, and I have to work on that, too. We’re planning to try out the mountains in a month or two. Ackk!